» Forum » Tech » Tech: Alpha-numeric » Gottlieb Raven System 80b Help! » Gottlieb Raven System 80b Help! Gottlieb Raven System 80b Help! 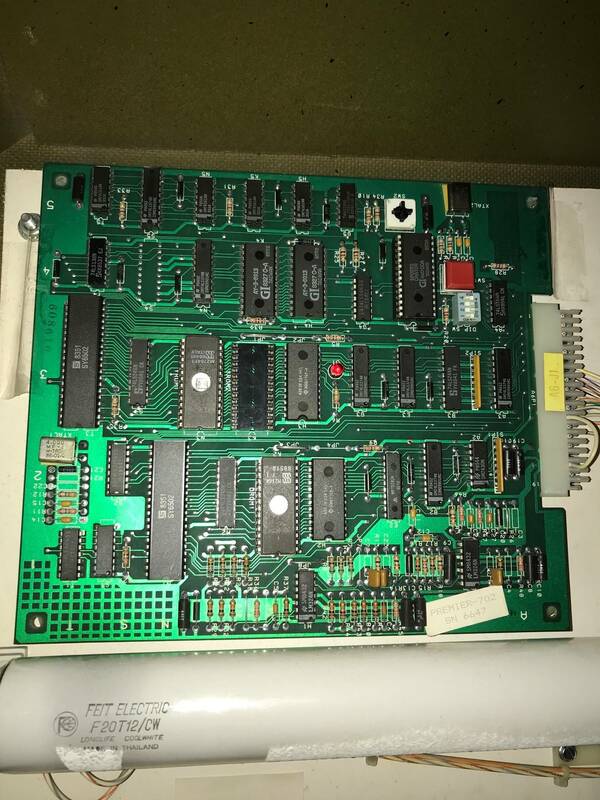 This is my first time working extensively on a system 80b pin and I’m wondering where I should start. I will say that the system 80b ground mod has been done (just to clarify). Buddy of mine bought it from a guy who said it worked perfect recently then started having trouble. Trying reseating the PROM1 chip or gently pressing on the daughter board while turning it on. Could be issues with the solder joints. I’m having similar booting issues with my 80b game because of that. Blowing all the fuses like that seems odd. 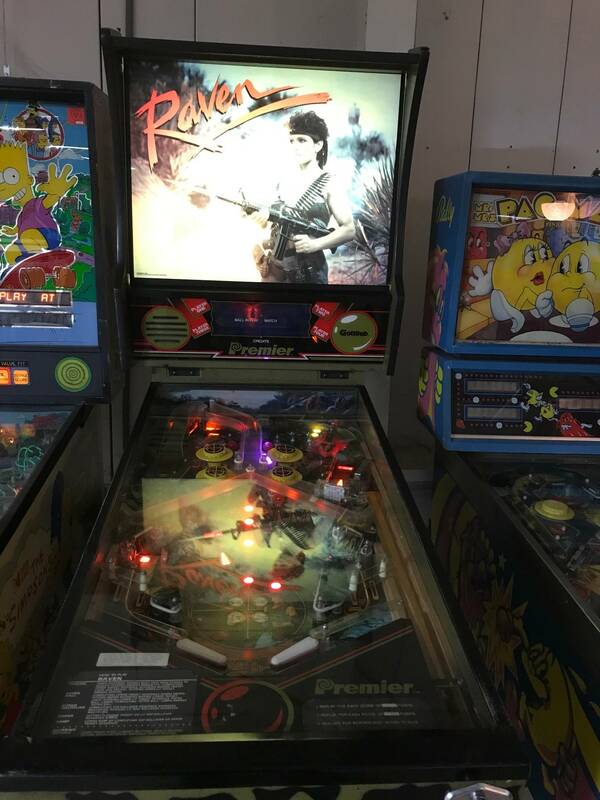 I would go over the underside of the playfield carefully and make sure you have no shorts in the wiring. Do the fuses blow when you change them? Also verify you have exactly 5v coming out of the power supply in the backbox. Verify your bridge recifiers are not blown. You may need to desolder the wires from them to test them accurately. Ahh, gotcha. I’ll definitely try that! Upon replacing the fuse, the solenoid will work for a few minutes but then blows. Sounds great, How would you go about testing the power supply for 5 volts? I’ll definitely check the Bridge Rectifiers! You’re right that is odd. With my gold wings the fuse kept blowing for the knocker. I checked everything on the board and couldn’t find the issue. 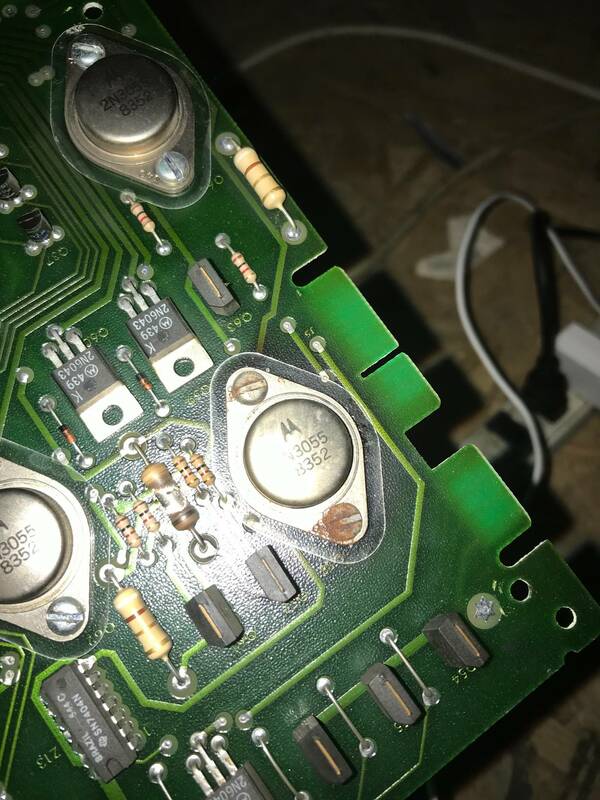 What I ended up finding was on the coil someone replaced the diode as it looked different than all the other ones. The band was facing the wrong side. I flipped the diode according to the schematics and problem solved. So long story short. You may want to double check the diodes for all the coils blowing fuses. Other than that solder slashes are always my favorite thing to find. Especially if someone else did a bunch of work on this machine before you got it. Ahh, gotcha. Is it possible that all of these solenoids could have been worked on you think? What do you guys think about the display? Is it normal to have slight burn marks in the corners? With all the blown fuses that's odd. I'm lead to believe that maybe the driver board is not working. Maybe try looking it over for burnt components or poor quality solder repairs. 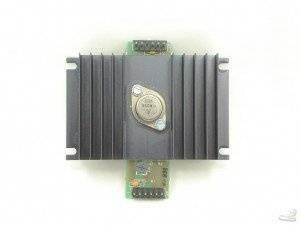 I can see a sketchy looking component on the driver board pictures above. The brown resistor between the two button transitors. I ended up buying a Rotten Dog driver board, that solved a bunch of my issues. It also had a direct ground on it. Also I'd check the 5v at the board from the power supply in the back box. Making sure the boards are getting 5v. Todd Tuckey has a video on checking that Ina video called "reflowing solder on power supply" or something. Its totally possible someone worked on all coils but not likely. I just like to point out the easiest things first. Out of all of the issues I’ve had that make me bonkers trying to figure out the fix, I’ll turn to the forums and get 20 million suggestions and get told with extreme confidence that it’s either A, B, or C and I need to buy logic probes and get an engineering degree....and it ends up being the simplest thing. Like a solder splash or a loose component touching something or a screw came out and it’s wedges between pieces. Always consider what everyone else suggests for sure but sometimes I like to just remind myself to make sure to cover the little stuff. Definitely following this thread I hope you find it soon and it’s not a major headache. Sounds good, I definitely did that first thing. I’ll check voltage though. Thanks! Great planes electronics, pinball life or pinball resource . About to see the game soon, I will keep you all updated. Thanks for helping! 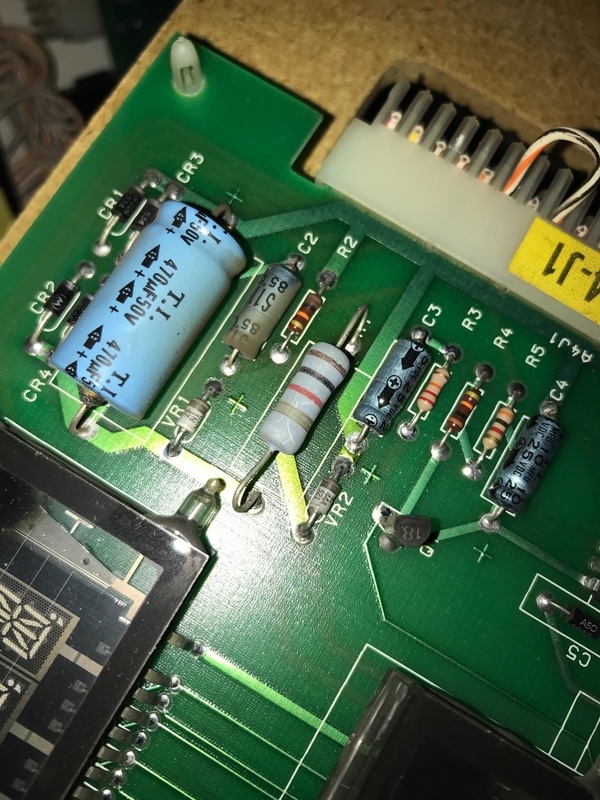 Is anyone aware of the purpose for that burnt resistor on the driver board? How can I test if it’s okay with my digital multimeter? Its definitely not okay, but you can get new ones from Arrow.com for literally pennies with free next day shipping. Great! Anyway to test them? 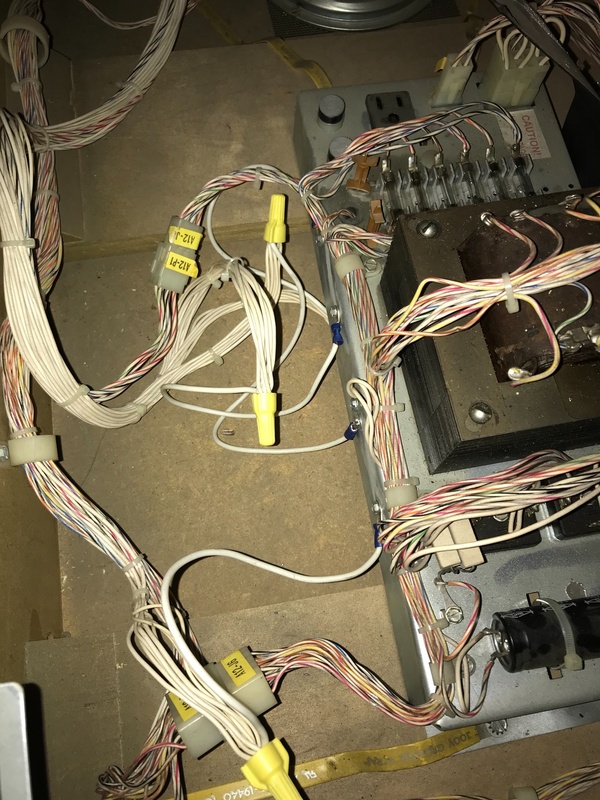 The first things I always do with 80b games is rebuild the power supply, do the ground mod (in cabinet and running dedicated ground for each board), clean all board edges with an eraser , and check the edge connectors (repair and replace when needed). Doing that takes a lot of the flakeyness out of the machine. Reflowed solder on the power supply and still nothing! I did find this though. 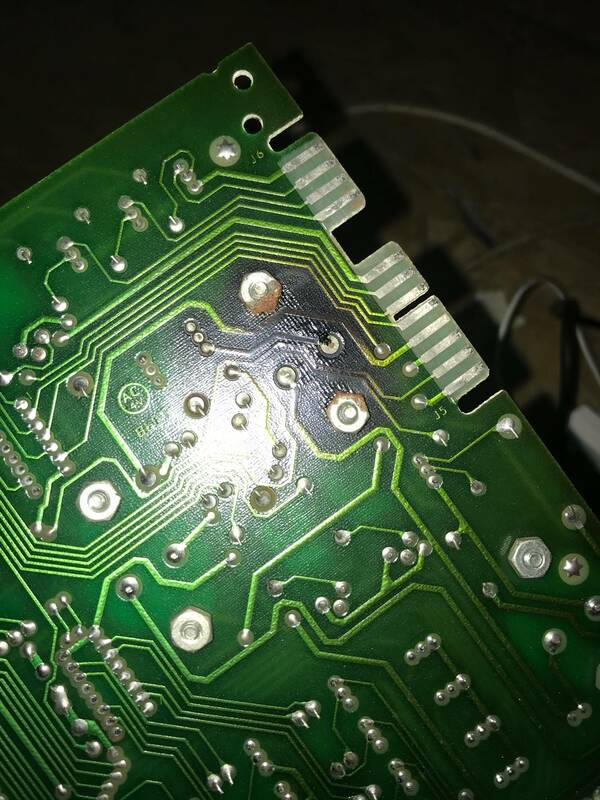 The driver board was significantly burnt. 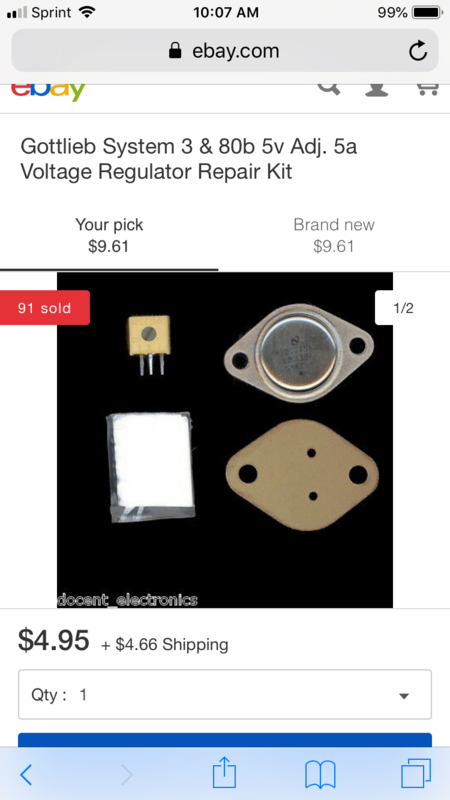 Does anyone know where I can find a replacement resistor and 5 volts regulator? I have had such bad luck with purchases off Ebay of late, USPS has "issues" which caused the packages to get lost for weeks. They finally showed up, but in some cases took 4 weeks to get from Florida to Connecticut. Forget about the driver board until you have the CPU booting consistently. So disconnect the driver board and focus on getting a good 5VDC. The capacitor on the power unit in the bottom of the game should be replaced if it hasn't been done recently. It looks like some ground mods have been done at the power unit in the bottom of the game. have you ever verified 5volts coming from power supply yet? 1. 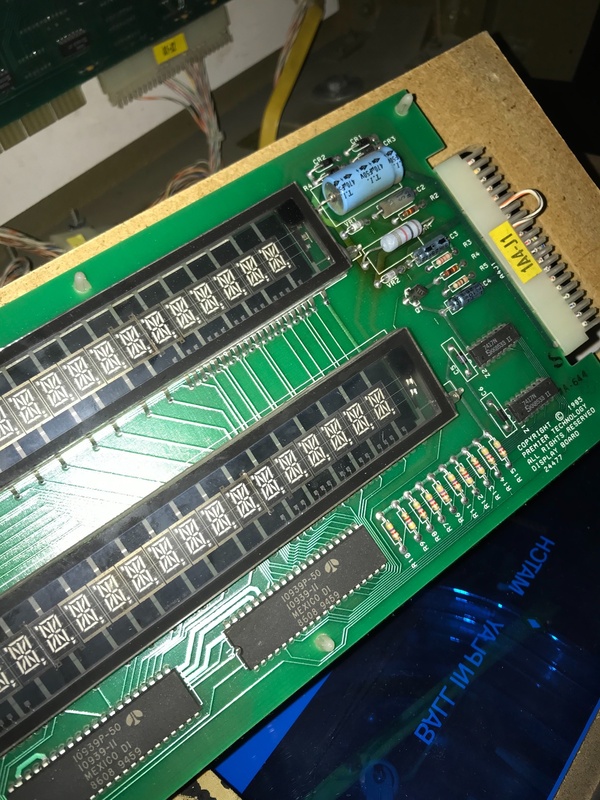 Fuses blowing: If the mpu board is not coming up correctly(you have nothing on displays), no data is being sent to the control chips on the driver board. 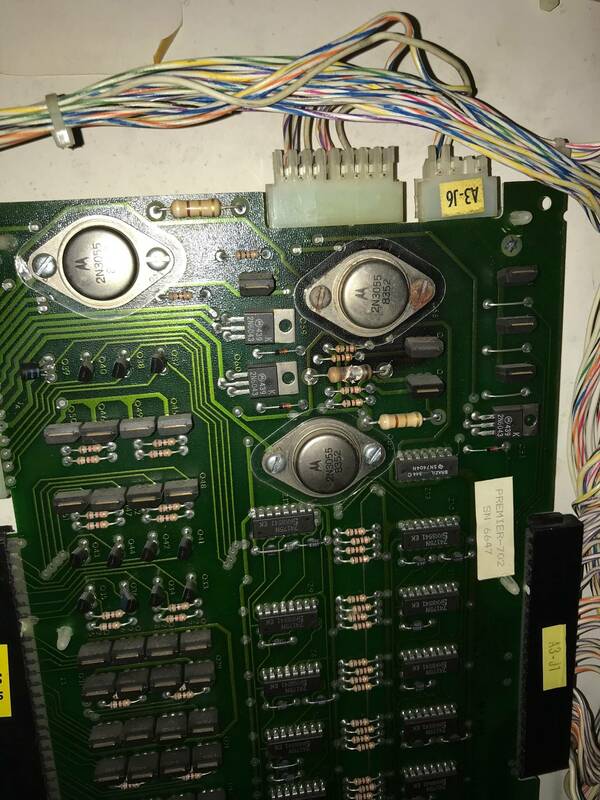 The driver board does not have a circuit to shut off the coils while waiting for the mpu to send valid data. That is why it is common for a loud clunk to be heard when a system 80 game is first turned on. Without the MPU control signals, those coils will stay locked on until the fuse blows. There is an article on PinWiki on modifying the driver board to add a circuit to shut off all the coils when the board is first turned on. You might consider making those mods to your driver board. 2. I think your MPU board is NOT coming up correctly. You need Leon's test chip. If you have a chip burner, the program code should be on PinWiki. Leon's test chip and his documentation will give you a starting point to bringing the MPU back to life. Until the MPU is running, you are just wasting time on other stuff. This is extremely helpful, thanks! Where can I find Leon’s test chip? Will installation solve the issue?